Over the past few years we've seen a lot of beauty subscription boxes appear, some have come and gone whilst others have stuck it out. All the boxes have always appeared to be very similar in my opinion though so when Nailbox contacted me I was pleasantly surprised to see that they are offering something a little different. Nailbox is a subscription box for people who love nail polish and all the nail accessories you can get these days to keep your manicure looking fresh and polished. Each box contains 5 items, either 3 or 4 nail polishes and either 1 or 2 nail treatments/tools, a pretty good balance I think! They never send out the same nail polish twice as well and they work with big brands like Nails Inc, Elegant Touch and China Glaze to bring you a selection you'll like each month. I'm pretty rubbish at keeping my nails painted and perfect so I hoped that this would encourage me to try a few different colours and spend more time on my nails! Each box is £15 and delivery is free but they offer discounts if you pay for a set amount of boxes at once. On to what is actually inside July's box though which has a paradise theme! 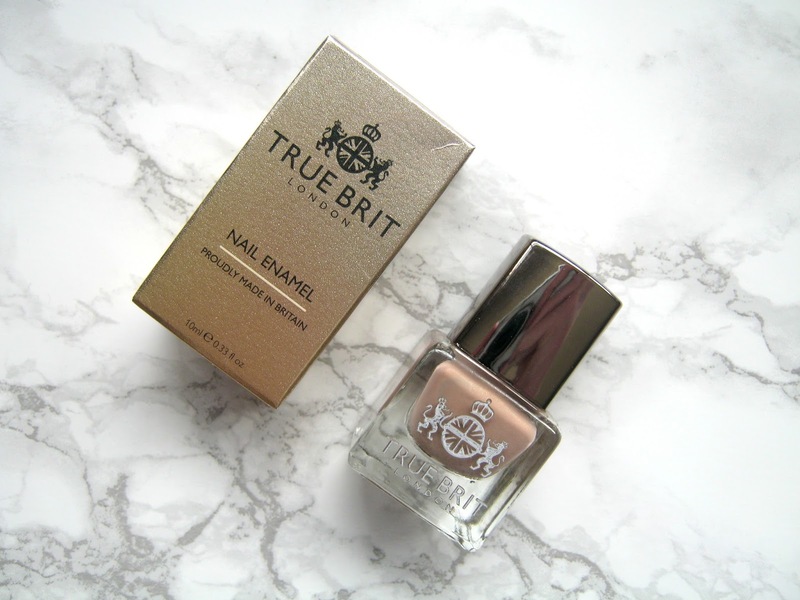 The first product, the True Brit Nail Enamel in The Summer House (RRP £12.50), is meant to represent a sandy beach. I've not heard of this brand before but I really love the bottle and design! 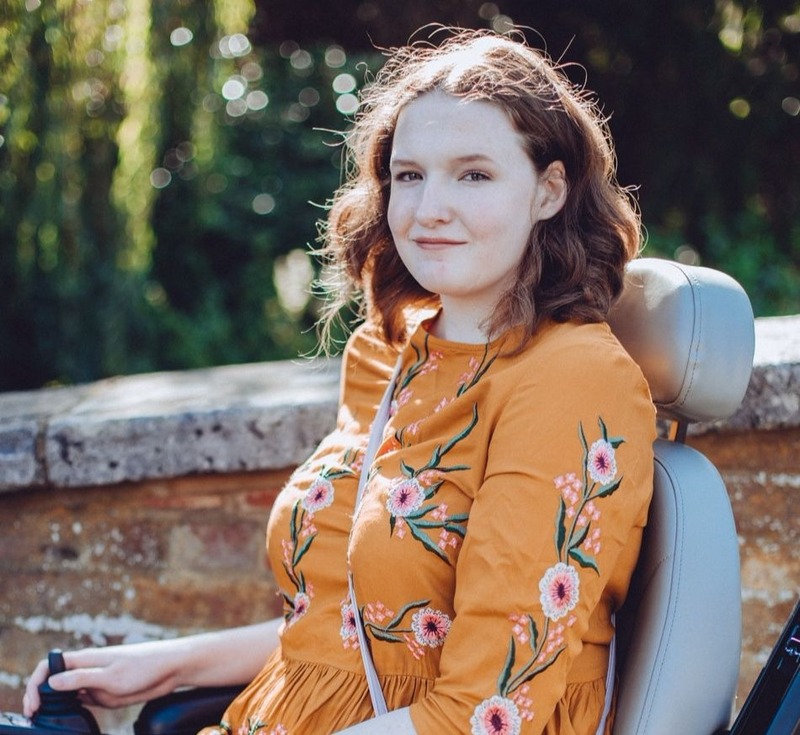 The shade is gorgeous but also quite neutral so it could be paired with any outfit quite easily and I think it would even look great when Autumn comes around. 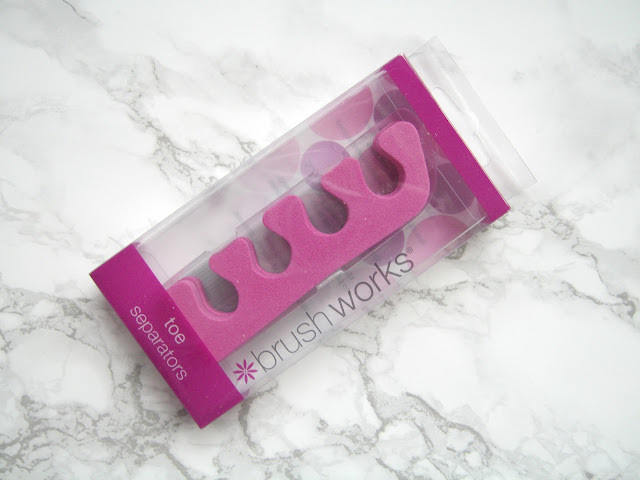 The second product is more of a basic one but a total must have, the Brush Works Toe Separators (RRP £2.49). I actually don't own any toe separators which makes painting my toes very tricky so I was more than happy to open my box and find these inside! The product that I was most excited to find inside the box was the Nails Inc Gel Effect Polish in Soho Place (RRP £14). I've tried Nails Inc polishes in the past before and really liked them but I've never tried the gel effects ones so I was excited to give this a go. This shade is meant to represent the sea and it's certainly a bold but very summer appropriate choice. I think this would look great on your toenails just peeking out from a pair of sandals! The 3rd and final nail polish is from Angelica in the shade Snow White (RRP £2.75). I think at one point you were able to buy this brand in Primark, I'm not 100% sure if you can anymore though. I've never worn a white nail polish and I'm not sure if it's entirely my kind of style but either way it's a good basic colour to have in my collection. 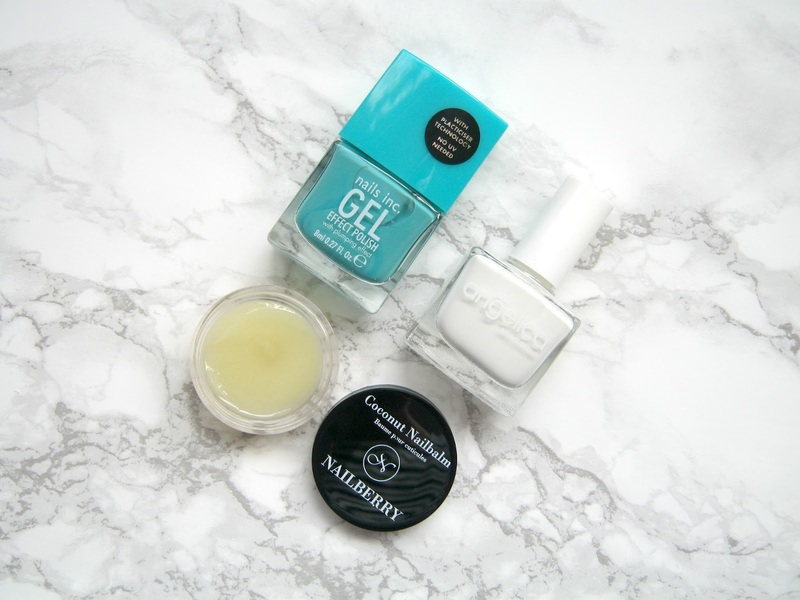 The last product is the Nailberry Coconut Nailbalm (RRP £12), as I said before I definitely don't look after my nails well enough so I was more than happy to find this in the box. I've been using it ever since it arrived and it's definitely helped improve the condition of my cuticles especially, my nails are looking a lot more presentable now! I have to say this subscription has most definitely impressed me! This box costs just £15 but you are getting nearly £45 worth of product inside and these are all products that I will use! 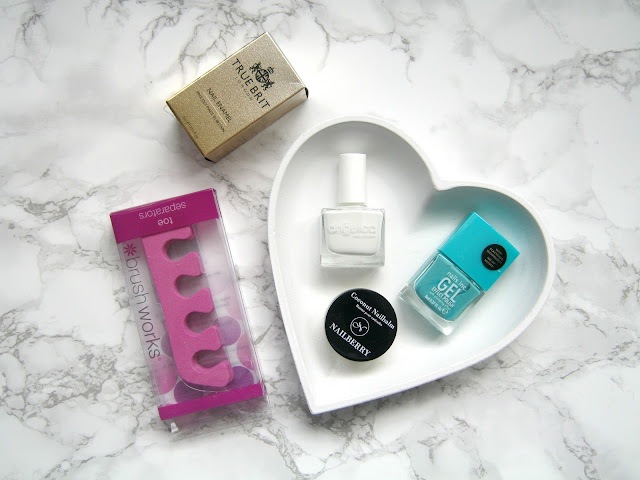 If you paint your nails a lot and really enjoy taking care of them then I'd definitely say that Nailbox is worth trying! I'm interested in ail boxes in comparison to standard beauty boxes because I reckon I'd actually use the products in this box.